The elderly and disabled are socially isolated. 41-46% are depressed. Half are unsatisfied with family communications. Face-to-face contact – 3 times per week, with family and friends – can reduce isolation, halving depression risk and mitigating poor sleep, blood pressure and functional decline. Social relationships encourage healthy habits, diet, exercise and medication compliance. Even though 82% desire video communications, the digital revolution has left most older people behind – particularly those with poor sight, hearing or dexterity. We review the latest social tools and technologies. We compare available products and services, and offer guidance for recommending a needs-based solution. Our three heart-warming case studies – David, Graham and June – will amuse and perhaps surprise you. We cover iPads, laptops, robotic walking tablets, and technologies custom-built to help the elderly remain independent. We show where many attempts fail, and provide simple insights for making technology work – without spending a fortune or calling in the “IT Guy”. 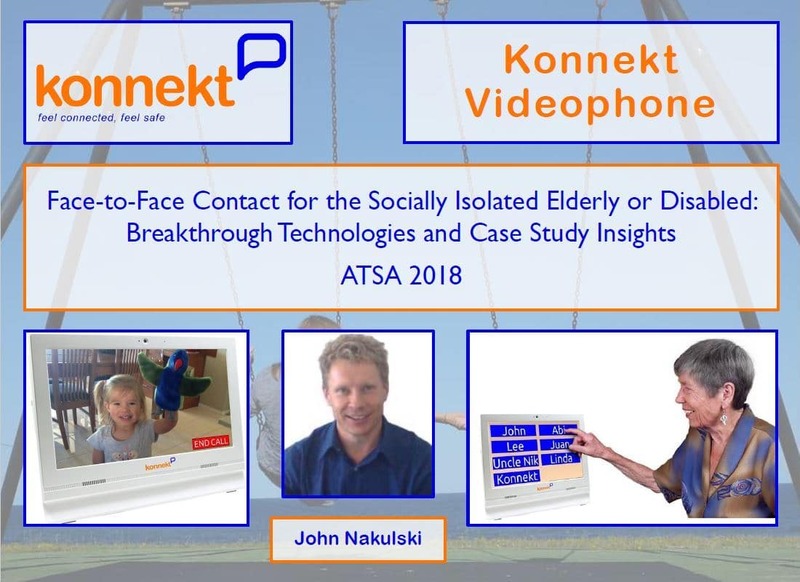 Study of 11,000 older adults concludes face-to-face contact, 3 times per week, specifically with family / friends, reduces social isolation, halves depression risk. Derived gains endure years later. However, phone conversations, written communication, and contact with others (non family / friends) had no measurable impact. Dr. Alan Teo Professor Oregon Health and Science University, Face-to-face socializing more powerful than phone calls, emails in guarding against depression in older adults, OHSU Research Paper 2015-10; also published as A. R. Teo et al, Does Mode of Contact with Different Types of Social Relationships Predict Depression in Older Adults?, Journal of the American Geriatrics Society, vol. 63, no. 10, pp. 2014-2022, 2015. 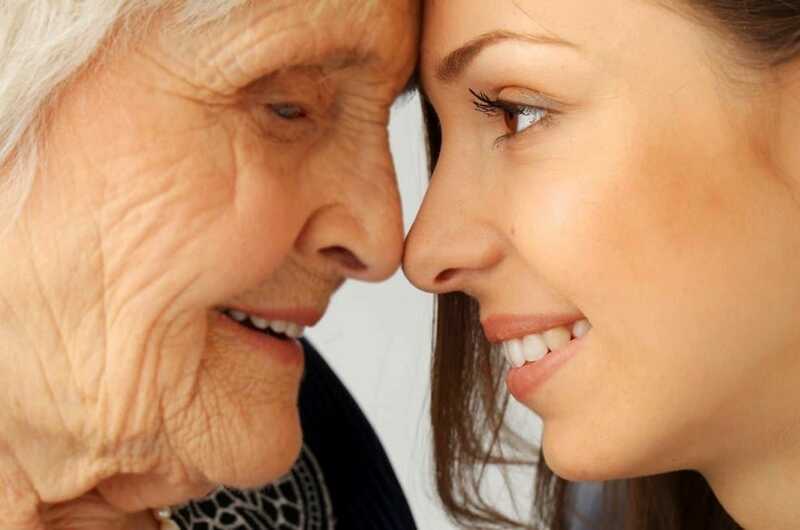 User-friendly face-to-face calls improved cognitive function in those with and without dementia, suggested as dementia prevention and intervention/treatment. H. Dodge, J. Zhu, N. Mattek, M. Bowman, O. Ybarra, K. Wild, D. Loewenstein, J. Kaye, Web-enabled conversational interactions as a method to improve cognitive functions: Results of a 6-week randomized controlled trial, Alzheimer’s & Dementia: Translational Research & Clinical Interventions, vol. 1, no. 1, pp. 1-12, 2015. 82% of surveyed elderly are willing to try video communication. D. Meyer, T. Marx and V. Ball-Seiter, Social isolation and telecommunication in the nursing home: A pilot study, Gerontechnology, vol. 10, no. 1, pp. 51-58, 2011. Over half (52%) of people in residential aged care have symptoms of depression. Authors, Depression in residential aged care 2008–2012, Australian Institute of Health and Welfare, Aged care statistics series, no. 39, cat. no. AGE 73, Canberra: AIHW, 2013. Systolic Blood Pressure was 14.4 mm worse after 4 years between the least and most lonely. L. C. Hawkley and J. T. Cacioppo, Loneliness Matters: A Theoretical and Empirical Review of Consequences and Mechanisms, Annals of Behavioral Medicine, vol. 40, no. 2, 2010. Loneliness predicts fragmented sleep to within 99% certainty. Study used polysomnography. 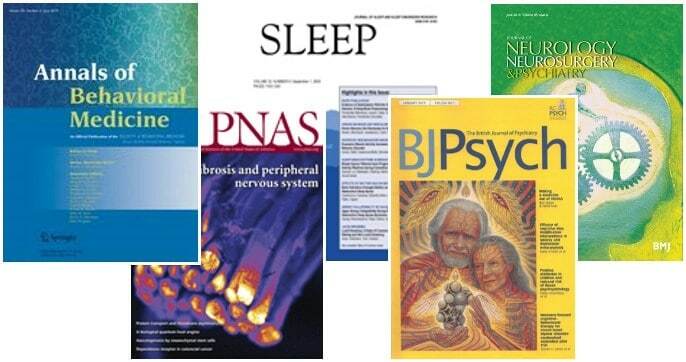 L. M. Kurina, K. L. Knutson, L. C. Hawkley, J. T. Cacioppo, D. S. Lauderdale and C. Ober, Loneliness Is Associated with Sleep Fragmentation in a Communal Society, SLEEP, vol. 34, no. 11, pp. 1519-1526, 2011. Study of 2,173 non-demented community-living elderly. After just 3 yrs, those who had expressed feelings of loneliness had greater dementia incidence. Conclusion: Loneliness is a major risk factor deserving clinical attention. T. J. Holwerda, D. J. Deeg, A. T. Beekman, T. G. van Tilburg, M. L. Stek, C. Jonker and R. A. Schoevers, Feelings of loneliness, but not social isolation, predict dementia onset: results from the Amsterdam Study of the Elderly (AMSTEL), J Neurol Neurosurg Psychiatry, vol. 85, no. 2, pp. 135-142, Feb 2014. Meta-study statistically combined multiple studies. Results: Social interaction / befriending decreases depression symptoms in the short term (less than 12 months) and long term (over 1 year). N. Mead, H. Lester, C. Chew-Graham, L. Gask and P. Bower, Effects of befriending on depressive symptoms and distress: systematic review and meta-analysis, Br J Psychiatry, pp. 96-101, Feb 2010. Approx. 6,500 adults aged over 52 years old from the 2004-5 UK longitudinal study of Ageing were reviewed 8 years later, in Mar 2012. Those with a larger social network and greater contact had about half the mortality rate (12.3% vs 21.9%). A. Steptoe, A. Shankar, P. Demakakos and J. Wardle, Social isolation, loneliness, and all-cause mortality in older men and women, Proc Natl Acad Sci USA, vol. 110, no. 15, pp. 5797-5801, 2013. Meta-study of 148 studies, 308,849 people. The absence of supportive social relationships is equivalent, as a risk factor, to the health effects of smoking 15 cigarettes a day. Over 7.5 years, individuals with adequate social relationships have a 50% greater likelihood of survival; comparable to quitting smoking or drinking, and greater than the health risk of obesity or physical inactivity. Author note: Decades ago, medical profession found that infants would die without social interaction. J. Holt-Lunstad, T. Smith and J. Bradley Layton, Social Relationships and Mortality Risk: A Meta-analytic Review, Public Library of Science (PLoS) Medicine, July 27, 2010.